Llurda, E. (Ed). (2005). Non-native language teachers: Perceptions, challenges and contributions to the profession. New York: Springer. Enric: When I started teaching, I felt I had to work very hard to carefully prepare all my classes, so that no unforeseen question or situation would arise. I was terrified at the thought of being caught without knowing the answer to a question. I also felt quite embarrassed to speak in public in English outside of the classroom, especially in situations involving NSs. A few years later, I have managed to overcome many of my initial fears, although I still can sense some traces of lack of self-confidence, which I suspect is not uncommon among NNESTs. I remember an anecdotal conversation I had on a train taking my wife and myself from London to Edinburgh in the UK. I had already obtained my degree in English, and had been teaching the language for a couple of years. The lady that was sitting in front of us was very polite, and she was asking about our place of origin. After a few exchanges, she complimented me on my English. However, a few minutes later the conversation turned to our professions, and when I said I was a teacher of English, she simply said ‘oh, are you?’, showing a good deal of surprise and disappointment in her voice. I could almost hear her thoughts about my English being OK for a tourist but not good enough to be a teacher of the language of Shakespeare. The conversation came soon to an end, and I felt terrible. I am aware now that the lady’s spontaneous reaction had less to do with my English than with her own attitude. She, as many other naïve native speakers, wasn’t ready for the idea that somebody speaking with a foreign accent is as capable to teach the language as somebody who speaks it ‘by right of birth’. Enric: They have been widely presented in the writings of the all the people who have done research on NNESTs, starting with Medgyes, and continuing with many others: Barbara Seidlhofer, Lia Kamhi-Stein, Jun Liu, Paul K. Matsuda … just to name a few. If I had to single out just one contribution of NNESTs, that would be their superior awareness of the language (with all its formal and discourse complexities) and the language learning experience. I once taught Spanish to American students, and I felt rather handicapped having to teach a language that was like my native tongue (in fact, my first language is Catalan, but I also learned Spanish as a child, so it comes almost as naturally as Catalan). I felt I was lacking some necessary reference points, and besides the awareness of difficulty was totally gone. I could not rely on my intuitions as to what could be more easily understood by my students. When I teach English, I am in control of the difficulty of the language I am using, and I know exactly what my students can perceive and what not. I can better adjust to their needs. That is, to me, the greatest asset of NNESTs. 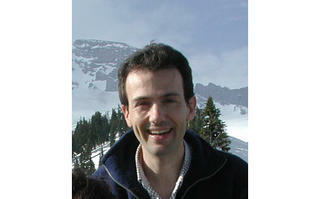 Enric: I like reading, and also playing all kinds of table games with my children, and friends as well. I also enjoy very much travelling with my family, which I do whenever there is a chance. I consider myself very lucky that my wife and children are always willing to get on the road or hop on a plane with me. Enric: When I became a member of TESOL, which I did recently, I immediately signed for the NNEST Caucus. I think George, Lia, Jun, and all the people who got it started did an excellent job and a great service to the TESOL community (both NNESTs and NESTs). I would like it to be a stronger tool for cooperation among members. This is a great place for establishing networks that may eventually give way to future collaborative projects. Quite recently there was a call for papers for a new book on the list and people from different places managed to get together in the project. I’m sure there are more and more theses and dissertations conducted on NNESTs or other related issues. The Caucus should provide opportunities for them to interact and discuss their different approaches and results. The electronic list is such a powerful tool, especially for those of us who are not based in the US and do not regularly attend TESOL annual conventions! I can only feel gratitude and deep respect for those of you (Ahmar, Lucie, Fabiana, Silvia, Amir, etc.) who volunteer your time to keep the Caucus going. Amir: Thanks, Enric, for your time! This entry was posted in Uncategorized on August 26, 2005 by AWu.